I am Of Counsel and a solicitor with over 20 years of experience of intellectual property, data protection and commercial agreements. I act for businesses, schools, charities and private individuals. I represent parties in intellectual property disputes, and advise on contracts in all technology sectors and regulatory compliance. I enjoy helping clients reach a good understanding of intellectual property and show why it can add value to their enterprises, create revenue and protect key assets. I advise on the acquisition, protection and exploitation of intellectual property rights, especially trade marks, design rights, patents, database rights, domain names, copyright, confidential information and trade secrets. My practice is relevant particularly to the branded goods and services, software, pharmaceuticals, marketing, advertising and entertainment sectors. Clients range from start-ups and SMEs to well-known multinational companies. Particular recent experience has related to advice on the acquisition and management of intellectual property portfolios, the transfer and licensing of intellectual property rights, due diligence investigations in corporate transactions and handling disputes relating to infringement of trade marks, copyright, design rights and passing off. Many of these disputes have been resolved before the stage of court proceedings. I have also dealt with online defamation and copyright infringements. 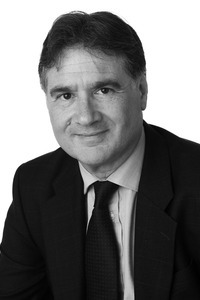 I assist clients with a variety of contractual arrangements including technology contracts and standard terms relating to software acquisition, website use, app development, social media, databases and provision of managed services, Software-as-a-Service agreements, cloud computing and hosting as well as internet-enabled sale of goods and services to consumers. I provide regulatory compliance advice on data protection legislation inclusive of the General Data Protection Regulation. I have drafted privacy statements and data processor agreements and advised on investigations instigated by the Information Commissioner’s Office and data subject access requests. Other commercial experience has related to agency and distribution agreements, R&D agreements, services outsourcing (including IT outsourcing to clients by local government bodies), franchising, gaming, sponsorship and sales promotion. I also advise on competition law. Several of my matters have an international dimension. Previous experience as in-house counsel with multinational companies in the pharmaceutical and food sectors has provided me with some useful insights into what business clients expect from their lawyers. Allied member of the Chartered Institute of Trade Mark Attorneys. I enjoy classical music, art, travel and cookery. Laurie Heizler is very knowledgeable and thorough.